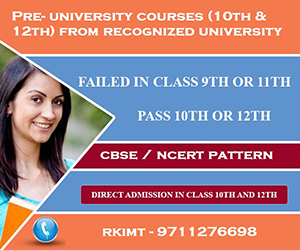 RKIMT is one of the leading educational consultant and institute in Noida (Delhi – NCR) that was established in 2010. It provides counseling facilities to those students who are in doubt about their choice of course. It provides diploma, under graduation and post-graduation degree in one year or short period of time to the students who leave their studies in between due to certain reasons. As we understand their need of education for their job requirements. It was wonderful experience with RKIMT. They helped in all aspects to get the course complete and get the certificate. Its also budgeted and very low cost courses which offers with degree from recognized universities. And also its very highly recommended for working class peoples to complete the course while working. I have completed 10th only and working in private firm. Due to my less educational qualification, I did not get promotion and good change in company. One day I found RKIMT while searching "Graduation in one year". I had contacted and got information about "BPP + BA" programmes. I did it and now I am graduate. Thank you RKIMT. i was very frustrated regarding my career because i have started working after 12 and did not have the graduation degree which was the biggest hurdle in my growth. but thanks to RKIMT which provide me degree of graduation in 1 year. I would like to say those who are looking for a graduation degree in short time can contact them. I was looking for graduation in one year programmes. I found RKIMT on internet and contacted them. Their procedure is very easy and I got my Bcom in one year. I am really happy to get my degree in short time. Thank you. Graduation in one year or Degree in one year is a program for those student who have discontinued and drop out the 1st year, 2nd and 3rd years of the courses from the colleges or university in between of the study. Student can apply for degree courses like Ba in one year, B.com in one year, BBA in one year, BCA in one year, BSC in one year, B tech in one year, MBA in one year, MCA in one Year, MSC in one year, Ma in one year, M.com in one year etc. by lateral entry program. Students can complete their degree or graduation in One Year from UGC RecognizedUniversity. There are number of universities which give chance to students to take admission in degree in one year program by lateral entry. 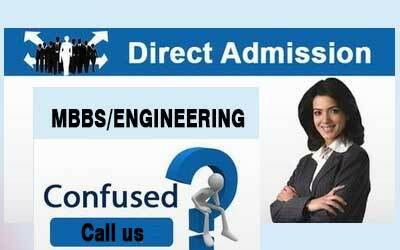 Student can have many more choices to decide in his/her career after completing graduation. There is always a way to earn more once you are graduate and do your post graduate degree for promotion in your career ahead.